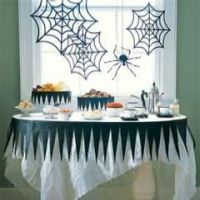 The Halloween party ideas provided here will transform your beautiful home into a boo-ti-ful party zone. 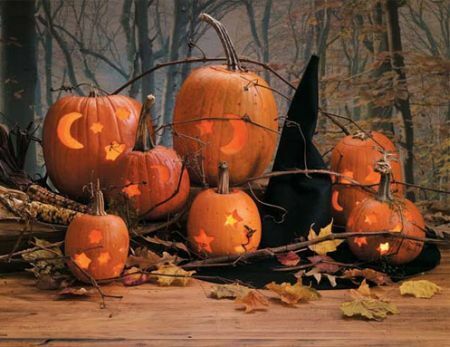 It's not just an October 31st one day celebration anymore, we enjoy the decorations and festivities for weeks. So get scared and discover food, decorations, games, costumes and pumpkin carving ideas that take the theme to the extreme. 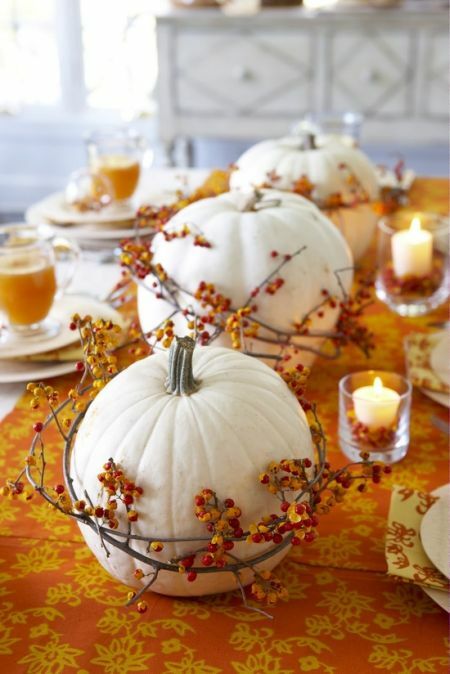 Get your spook on with Halloween party ideas that are simple and fun to do. Don't be afraid to go all out, because there is no such thing as overdoing it on Halloween. The theme itself screams for trickery and mystery. This haunted house has become a treat for our entire community. Every Halloween there is an abundance of kids who receive a proper haunting along with candy and fun. 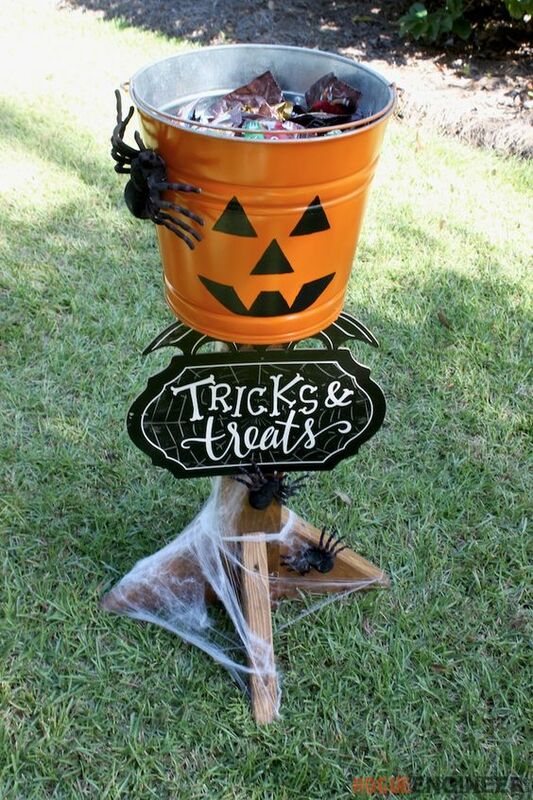 Celebrate Halloween party ideas that are wicked-easy and filled with tricks and treats. Enter if you dare. . . 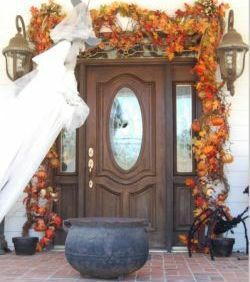 Dress up your home into a boo-tifully decorated haunted house with these Halloween party ideas to die for. 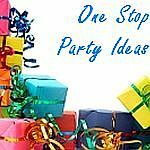 Your party guests or trick-or-treaters will not soon forget a mysterious party scene that is anything but normal. No tricks, it's wickedly easy to sprinkle a little black magic throughout your home. The photo gallery of decorations in disguise provided here could scare you to death--others will bring on ghoulish smiles. 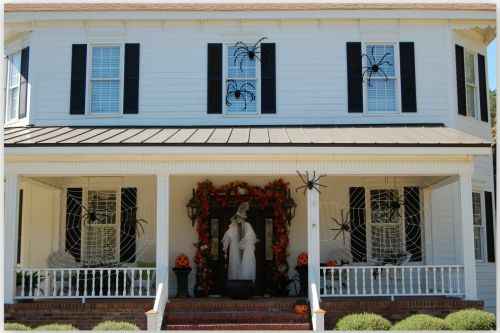 Spook up your home with hauntingly spirited Halloween decorating ideas. 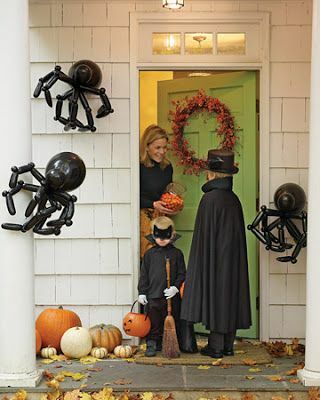 A spirited greeting is a great way to share your enthusiasm for Halloween and give a hint of the fun to come. Guests will expect an unusual event inside when a supernatural transformation has already taken place in the front yard. 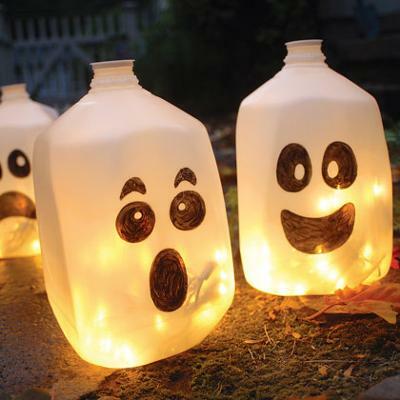 Are you ready to bring your Halloween party ideas outside? 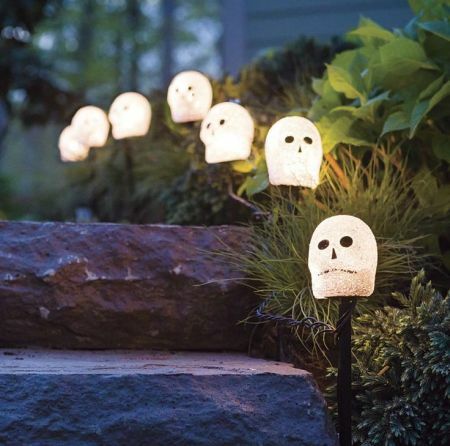 We have collected easy, fun outdoor Halloween decorations to inspire the most spooktacular yard ever. Bewitch the neighborhood with the spirited curb appeal found here. Looking for wacky, adorable and downright hilarious Halloween party favors? Then, give guests a favor that hasn't been done to death--new blood if you will. 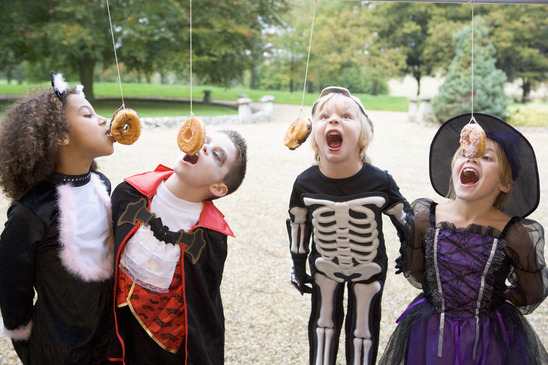 With a little imagination, you can dress favors up for Halloween with scary surprises and lots of treats. From creepy candy to terrorized trinkets, carve out your own big grin with an unforgettable take home favor. Your Halloween party ideas simply won't be complete without them. Halloween party favors that are suitably spooky. Capture the fun to come with an invitation filled with magic and masquerade. From a monster bash to a pumpkin carving party, you will find invitations here to extend a spooky welcome with undeniable special effects. These card designs seemed to emerge from nowhere and will mysteriously have guests taking to the streets to get to the party on time. 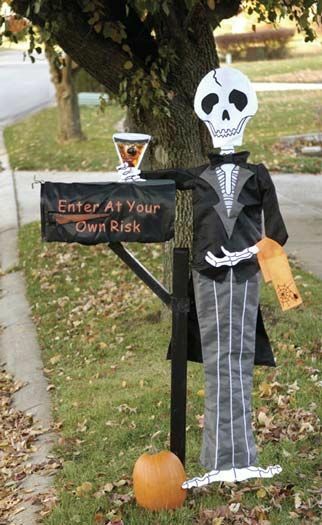 In keeping with the theme, we have mailbox decorating ideas to die for. Find spellbinding Halloween invitation ideas here. Pick our brains to create spirited Halloween appetizers for your friends and favorite trick-or-treaters. 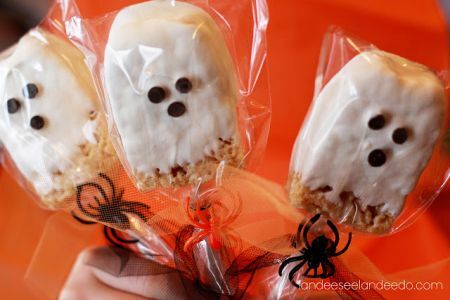 These haunting hors d'oeuvres are designed to get your creativity buzzing with a bite sized portable treat that is delicious and fun to make. 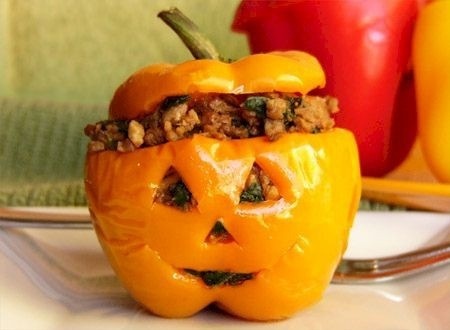 We hope you love to death these Halloween party ideas for killer appetizers that will make your gathering shine. The Halloween appetizers found here are love at first bite. Don't get tricked into thinking you have to do everything yourself. Making Halloween snacks isn't a nightmare when you use store bought items to make some of the work disappear. Now you see them, now you don't. We are willing to bet these shockingly simple snacks will disappear so fast, you won't believe your eyes. Find clever ideas here to make a spirited snack appear. On Halloween night, nothing is as it seems to be. And nothing says Halloween like a kids treat in full costume that is frighteningly simple to make. 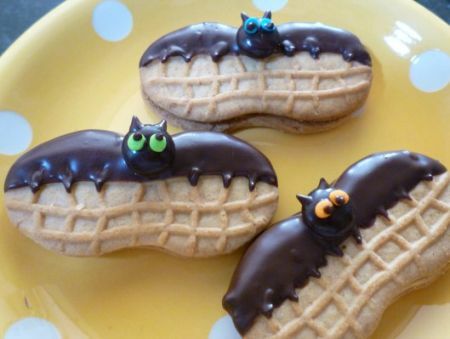 If you make Halloween treats for kids, the ghouls and goblins will come. Enchanted kid sized treats in store for you here. Whooo dares to drink from this enchanting vessel? Everyone at your party. Brew up your favorite punch recipe or choose from one of our wicked potions served with authentic Halloween flair. 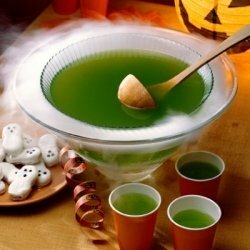 Your guests will love serving themselves from a pranked punch bowl or a disguised dispenser. Pick your potion from these eerie punch presentations and recipes. Feed your Halloween party ideas. Brew up a bewitching bash that will have your guests screaming with delight. 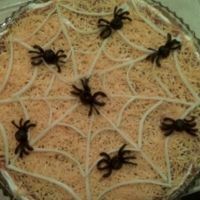 Browse through these great photos to turn your favorite recipes into eerie eats. Serve up a bite of Halloween with these hauntingly delicious dishes. 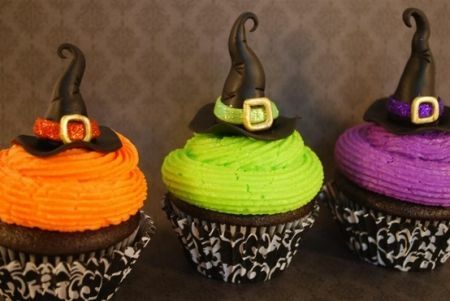 Overcome your fear of throwing a party by using these simple Halloween food ideas. Cupcakes put the creep in creepy. Thrill them with creepy cupcakes that offer a delicious chance to scare. Opportunity is mysteriously knocking in the form of ghosts, spiders, mummies, monsters, witches, and black cats. Be fearless with the small cakes found here. What is Halloween without a great costume? Halloween is the perfect night for pretending and costume selection is a big part of the eerie fun. We have left no tombstone unturned. Browse through these Halloween costume ideas. Halloween just wouldn't be the same without dressing up, and if your little one is fixated on the Smurfs then let's get smurfing. The fun part of this costume is deciding which one to be. Choose from the whole Smurf village--good guys or bad guys, there is something smurfy for everyone. To help guide you, we have provided personal details that make the most popular Smurfs distinctive. 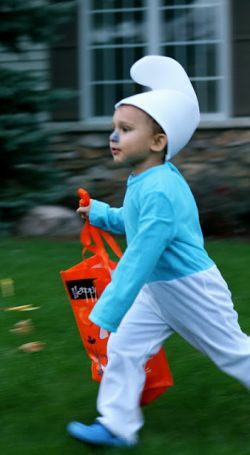 Join our Smurf costume parade. Great Halloween party ideas are in the details, so why not trick out the family pet. Allow your Halloween hounds to make a bold fashion statement and have a barking good time. 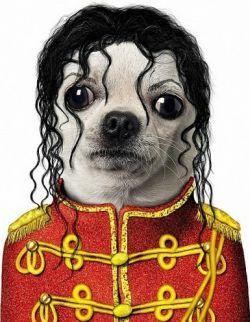 Show off your pooch with one of these howl-i-day pet costumes guaranteed to thrill. Carve out a little fun. Welcome visitors with a pumpkin display that takes advantage of the mascot of Halloween. Up close and scary. 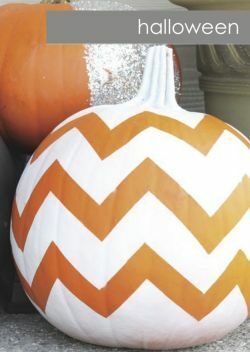 Let the shape, size, and stem of the pumpkin guide the style of your pumpkin design. See the jack-o-lantern in every pumpkin and carve until you set it free. Pumpkin ideas to satisfy your craving for carving. Looking for ghoulish games to entertain your favorite ghosts and goblins? We found a few game ideas that knocked our socks off. These ghost friendly games are deceptively easy to play and are the perfect addition to Halloween party ideas for kids. 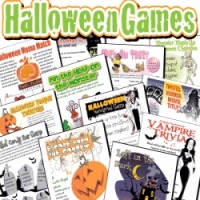 The games found here are Halloween versions of kids games that we all know and love. 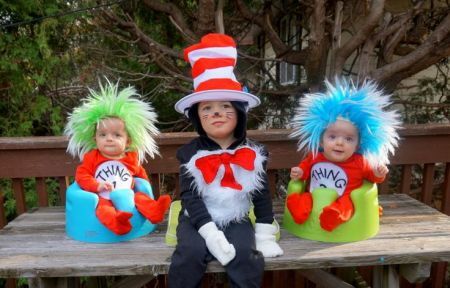 Who knew that Halloween party ideas should be educational? Share your trivia knowledge with your friends and family as you become a Halloween know-it-all. The color orange reminds us that Halloween was originally a harvest festival. The color black evokes images of black magic, witches, cats, and the mystery of Halloween. A pumpkin is really a squash. Long ago, some people believed that a witch could assume the form of a black cat. The fun Halloween facts found here are spell binding. Halloween is a fun holiday to celebrate, so plan preschool Halloween crafts that little ones would enjoy. 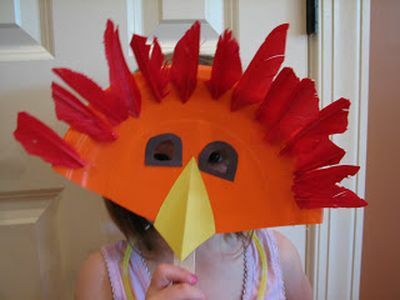 Browse through our paper plate disguises, door decorations, hats, and more to give a preschool glow to your activities. Hocus pocus. Here are some spooktacular preschool crafts. Crafting is a great opportunity to spend fun time with kids. So, take a step back from reality and make the most of the holiday's frights and delights with craft projects just for kids. All the kids need to bring is their imagination. 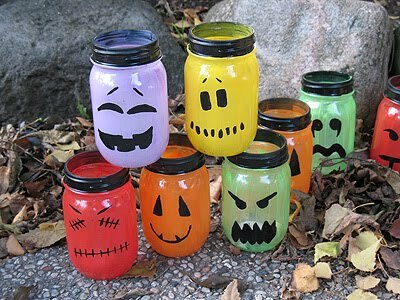 Celebrate crafting with these Halloween ideas for kids. Everyone loves a good scare on Halloween, but not when it comes to the safety of a child. From the candy to the costumes, there are safety tips of which every child and parent should be aware. To help make this years festivities trick-free, stay visible with glow sticks and flashlights. Most importantly, talk to your child about Halloween safety to help reduce the risk of injury. Keep your Halloween night fun with these safety tips.